Help your children learn to recognise, name and describe the properties of basic 2D shapes in this 2D shape activity using craft sticks and play dough. 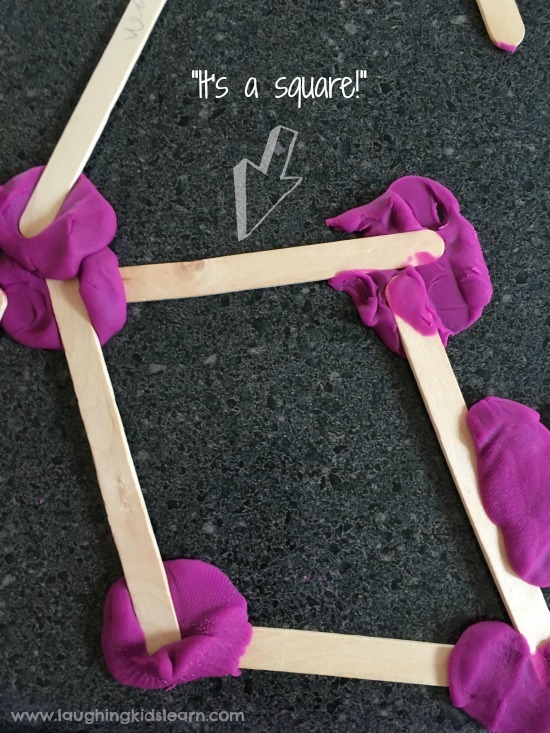 This simple shape activity is a great example of where education and fun are mashed together! I have to admit, I’ve been battling a vicious head cold and so the thought of playing today has not felt very appealing. Instead of turning on the tv, which I have no problem doing on the odd occasion, I gave Boo (aged 3 years) sticks and a blob of play dough. You can learn my secret play dough recipes here. 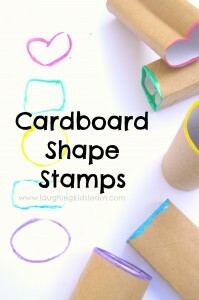 Have your child create a 2D shape using the materials provided. 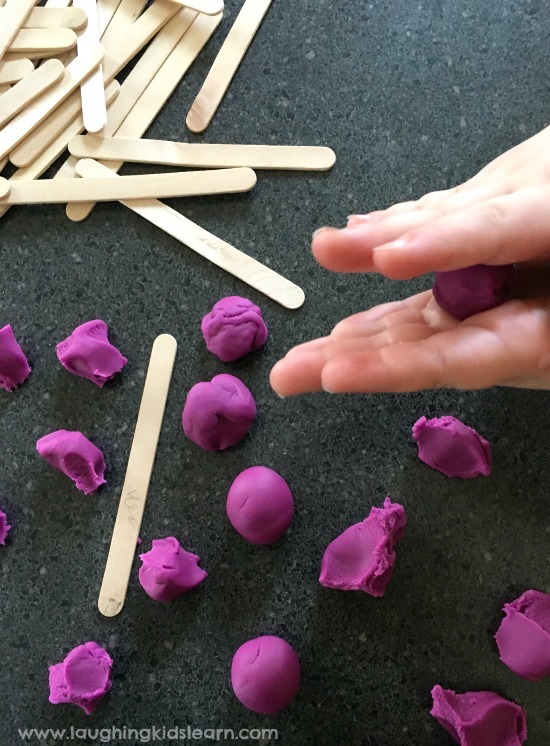 Begin by asking your child to pinch the play dough into small pieces and roll them into balls. Depending on their age they may need you to demonstrate this. As you can see, great for developing fine motor skills. 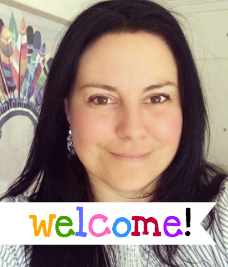 This is a great opportunity to talk to your child about texture and what the play dough feels like in their hand. Is it soft, smooth, crumbly, hard? These are all great words you can explore and talk about and will increase your child’s language development and word bank. Lets talk about 2D shapes. 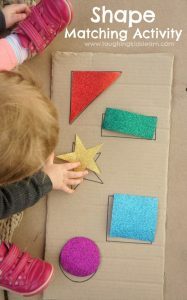 When it comes to learning about shapes with your child it’s a great idea to keep it simple and not overload them with too much information about lots of shapes. What does your child already know? Boo and I brainstormed what shapes she knew, which is always a great starting point. We took a walk around the house and garden to find as many of the shapes she knew as possible and I subtly added pointed comments into my discussions with her. “Oh look, that square in the fence has four lovely edges!”. This approach was a lovely way to help her learn to recognise, name and describe the properties of particular 2D shapes. Using the play dough and the craft sticks I demonstrated how to make a square. We talked about the sides of a square and how many craft stick we’d need to make the square. Hot tip: Of course depending on your child’s ability you can give them a demonstration or not. Just don’t make the activity too challenging that they feel failure or become uninterested in what you’re trying to teach them. 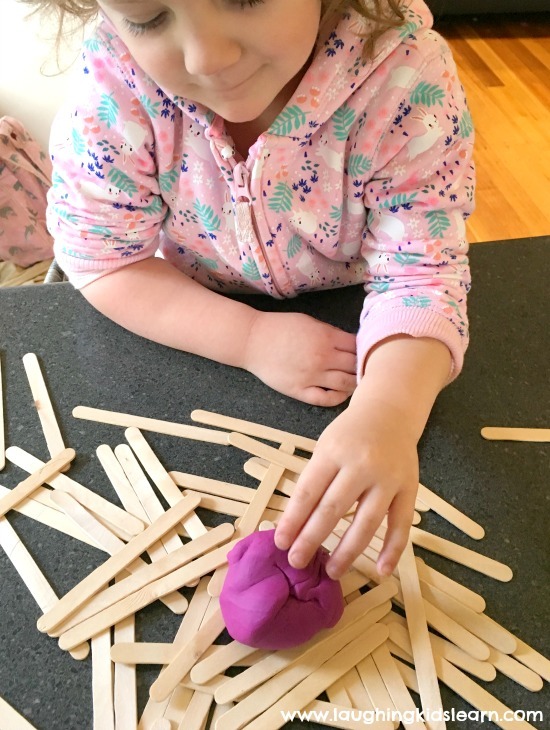 Of course you can extend this activity further for your child and start exploring 3D shapes and create them using the play dough and craft sticks. 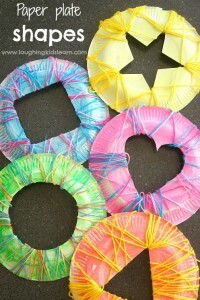 You can find many examples of this activity on Pinterest. 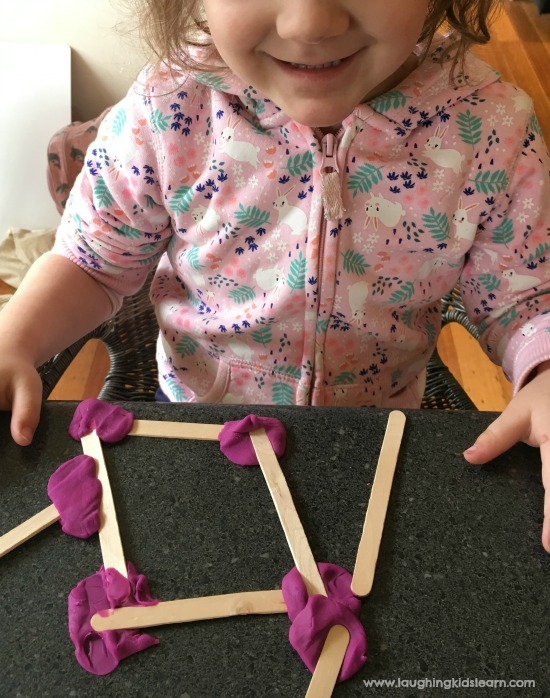 This 2D shape activity using craft sticks and play dough is a great introduction to basic mathematics and stem type activities. It’s amazing how many 2D shapes you can find in your own environment. Children are always looking at shapes and once you start pointing them out they become fascinated by them. 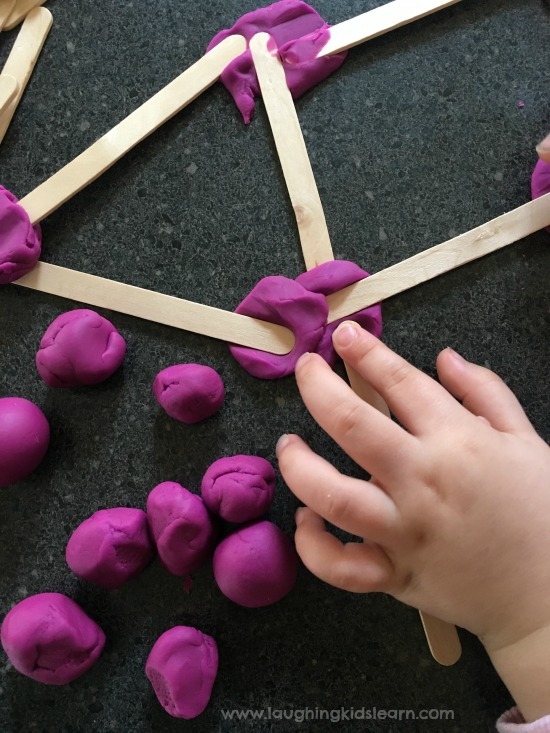 Help your child learn to recognise, name and describe the properties of different 2D shapes with this simple to set up activity using some play dough and craft sticks. They’ll love it and won’t even know they are learning in the process.